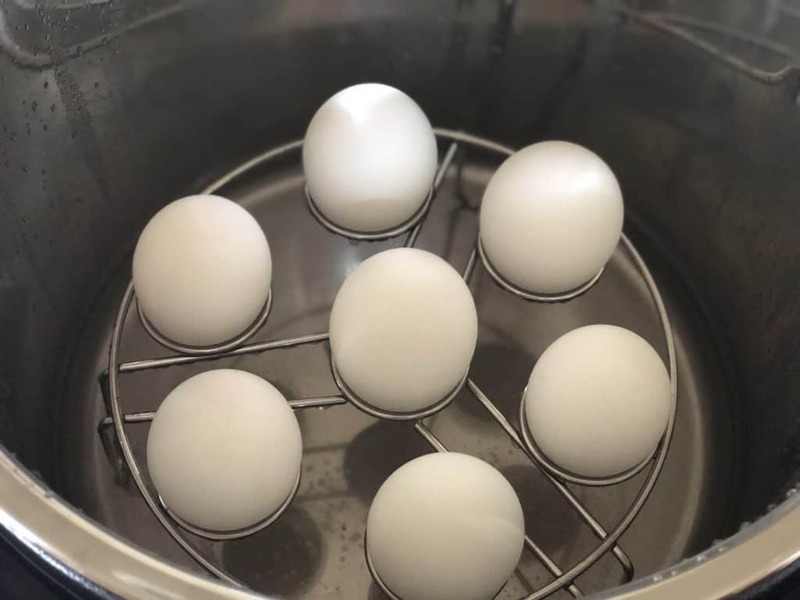 Making Instant Pot Hard Boiled Eggs is as easy as 5-5-5! If you remember that, you’ll have it down. 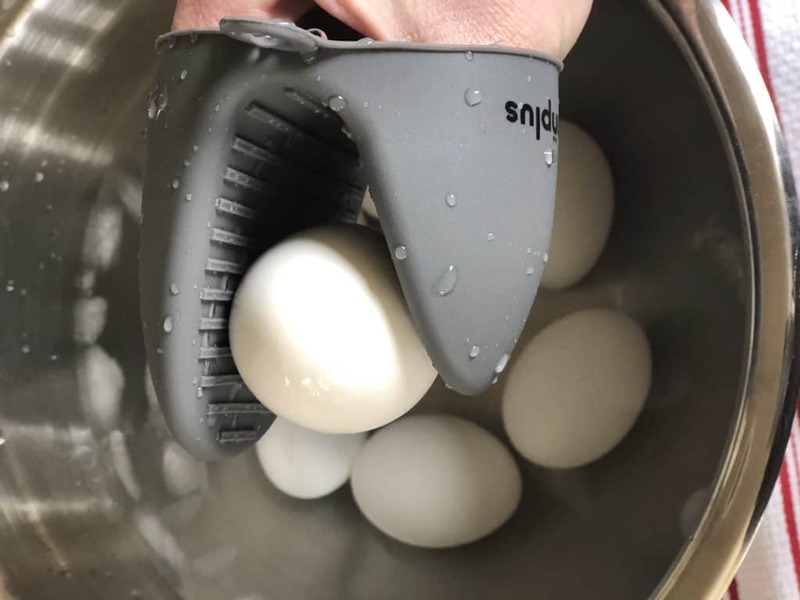 Perfect hard boiled eggs every time. My kids love hard boiled eggs. They are high in protein and a perfect addition to their lunch, or a quick snack. I love to have them in the fridge ready to go anytime they are wanting something to eat. Not only are they a delicious snack, but they are great for deviled eggs or egg salad sandwiches. What exactly does 5-5-5 mean? 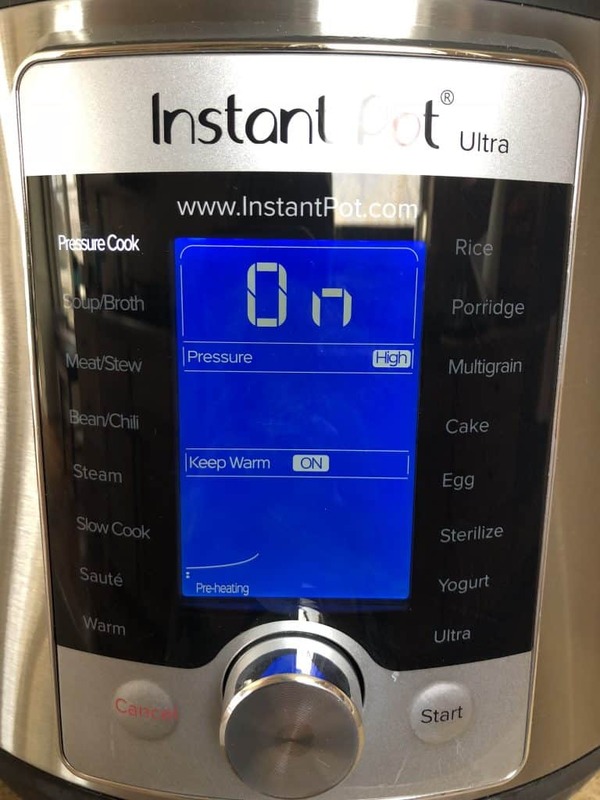 Often in recipes for the instant pot when you see numbers like this it means the amount of minutes you were doing a specific task for. 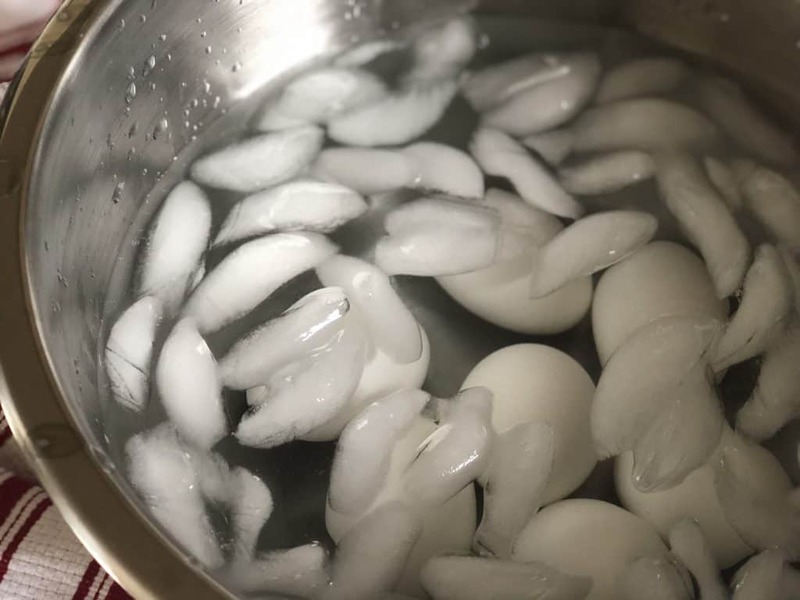 In the case of hard-boiled eggs in the instant pot, this means five minutes on high pressure, five minutes Natural release and 5 minutes in ice. What is the difference between natural realease and quick release? Natural release is when you use the keep warm setting for the amount of minutes in your recipe before letting out the steam. Quick release is when you instantly let out the stain. 1. Add 1 cup water to your Instant Pot. 3. Set high pressure for 5 minutes. 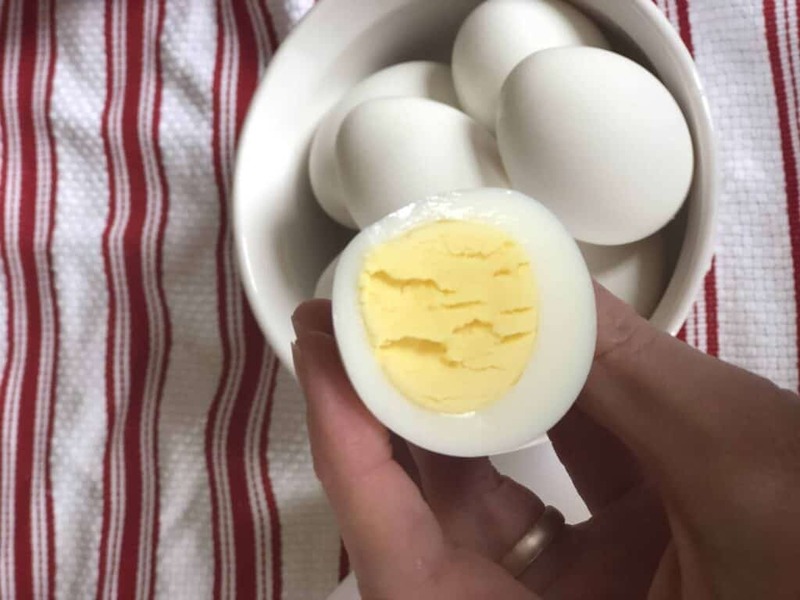 Instant Pot Hard Boiled Eggs can be enjoyed immediately or refrigerated.